Last years the Academy organized several extremely important and well-prepared scientific conferences. The proceedings were published after all of them. Scientific conference Serbian Spiritual Area, organized on 29-30 October 1998 in Bijeljina. Around 100 participants (academicians, professors and other scientists) from the Republic of Srpska, Srbija and Montenegro were present with 30 papers. The papers were written by the most prominent Serbian academicians (D. Cosic, M. Markovic, Lj. Tadic, M. Ekmecic, S. Leovac, V. krestic, C. Popov, P. Mandic, etc.). 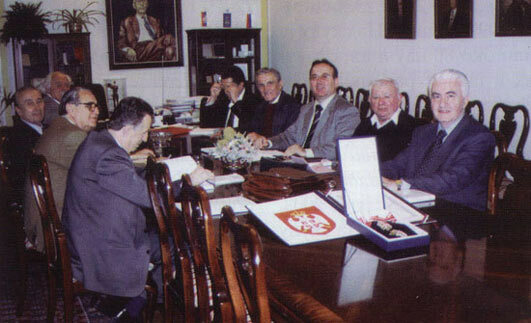 Scientific conference Division of Responsibilities between the Institutions of Bosnia and Herzegovina and its Entities, organized on 26 March 1999. Around 50 participants were present at the conference with 17 papers. Scientific conference Dusan's Code - the 650th Anniversary, organized in Banja Luka 22-23 December 1999. Around 80 scientific, professional and public workers were present at the conference. 27 works were presented. Scientific conference Pavlovics' Land - Middle Ages and the Period of Turkish Rule, organized on 27-28 June 2002 at Rogatica. 70 participants with 36 works were present. Scientific conference Serbian Revolution 1804-1815 and Bosnia and Herzegovina, organized on 25-26 June 2004 in Visegrad. 85 participants were present at the conference with 35 works. 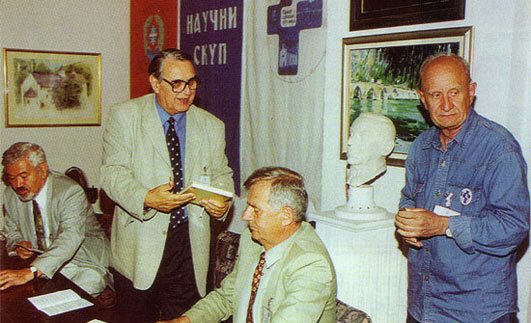 Scientific conference 150 Years from the Birth of Mihajlo Pupin, organized on 24 June 2004 in Banja Luka . 50 scientific and professional workers took part in the conference with 15 papers. 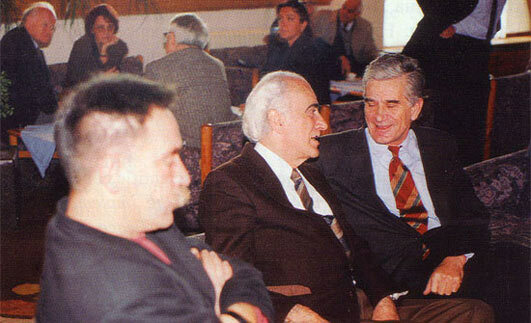 Scientific Conference: The Republika Srpska – Ten Years of the Dayton Peace Agreement, held on 12 and 13 May 2005. The Conference had an international character. It was attended by 110 prominent scholars from the country and abroad (Serbia and Montenegro, Croatia, representatives of the European Union, Venice Commission, the OESCE, the OHR, the Academy of Sciences and Arts of the Russian Federation, the UN etc.). Collection of Papers from the Conference was published, in the Serb and the English languages. 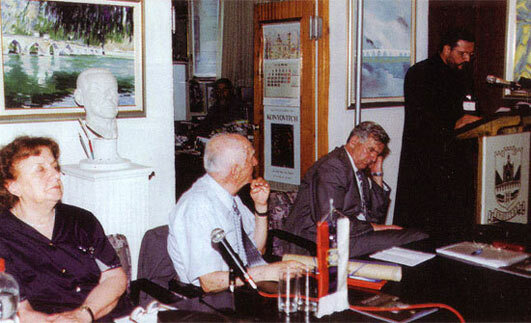 Scientific Conference An Epoch of Quantum, held in May 2001 in Banja Luka. About 60 participants took part in this gathering and 20 papers were submitted. Scientific Conference Theoretic and Experimental Research of Nanomaterials, held in September 2004 in Banja Luka. About thirty participants took part in the conference. Scientific Conference: One Hundred Years of the Theory of Relativity, held on 30 September 2005 in Banja Luka . About eighty participants took part in this assembly, and about twenty papers were submitted. The assembly was organized on the occasion of the World's Year of Einstein and Physics. In this way, the Academy joined numerous Academies and scholarly institutions worldwide that commemorated hundred years of the relativity theory and fifty years from the death of Einstein. Scientific Conference Nikola Tesla s Ideas, held in September 2006 in Banja Luka. Scientific Conference New Outlooks in Prevention and Treatment of Atherosclerosis, held in 2007. Scientific Conference The Republic of Srpska - 15 Years of Existence and Development, held in June 2007 in Banja Luka. There were about 120 participants in the conference and 75 submitted papers. Scientific Conference Resources of the Republic of Srpska, held in October 2007. The Con-ference gathered 80 scholars and professionals, and 52 papers were submitted. Scientific Conference Contemporary Materials, held in July 2008. The Conference was attended by 80 participants and 52 papers were submitted. Scientific Conference Petar Kocic Today, held in November 2007. 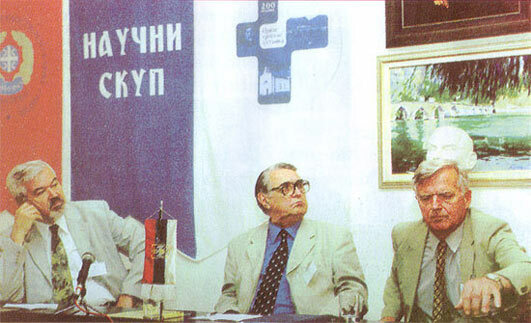 Scientific Conference Annexation of BiH - On the Occasion of Hundredth Anniversary, held in October 2007. Scientific Conference Contemporary Materials, held in July 2009. There were 134 participants and 77 papers were submitted. Scientific Conference Milutin Milankovic in His and in Our Time, held in October 2009. The Conference gathered about 100 participants, and 15 papers were submitted. Round table The Ruling of the European Court of Human Rights in Case Sejdic - Finci, held in April 2010. The round table was attended by 23 participants. International Scientific Conference Contemporary Materials, held in July 2010. The Conference gathered about 200 participants, and 115 papers were submitted. International Scientific Conference Water, Nanomaterials on the Basis of Hydrogen Bonds and Nano-Medicine, held in September 2010. There were about 100 participants in the conference and 20 papers were submitted. Scientific Conference Reproductive Health in the Republic of Srpska, held in October 2010. Scientific Conference One Hundred Years since the Birth of Skender Kulenovic, held in November2010.